Walt Disney World, Disney Springs Area, SeaWorld Orlando, Orange County Convention Centre and The Universal Orlando – all surround the centrally located Hawthorn Suites Lake Buena Vista, a Walt Disney World Good Neighbor Hotel. Contemporary amenities, vibrant surroundings and proximity to the Orlando theme parks are the plus points of this magnificent property. 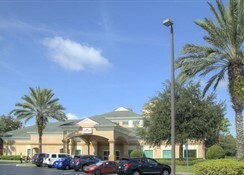 Beyond the theme parks, the hotel is also well-connected to a number of dining, shopping, entertainment and nightlife destinations of Orlando. 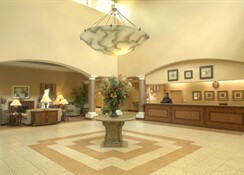 Hawthorn Suites feature well-appointed one- and two-bedroom suites featuring separate living room and full kitchen. The facilities here will pamper you enough for extended family holidays. This non-smoking hotel also caters to business travellers with its exclusive executive guestrooms. For relaxation and entertainment, guests are offered outdoor pool, Jacuzzi tub, fitness centre, game room, barbeque facilities, basketball court, ticketing service and free shuttle to Walt Disney World. 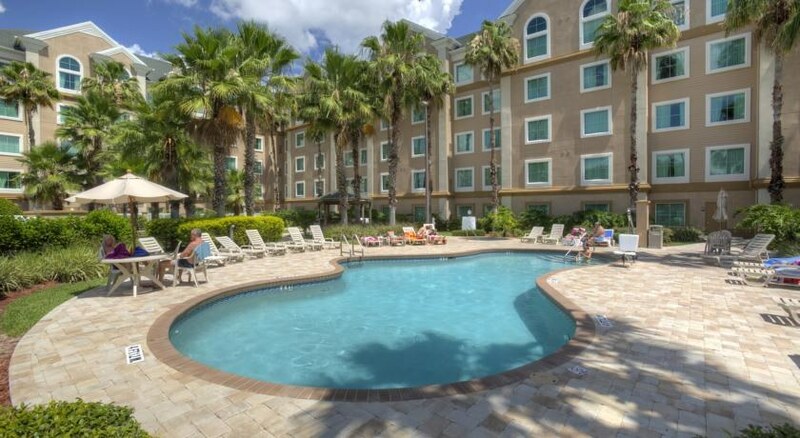 Disney’s Hollywood Studio, Disney Springs, Ponce De Leon Golf Course, Orange County Convention Centre, Prime Factory Outlet Mall – all surround the Hawthorn Suites Lake Buena Vista. 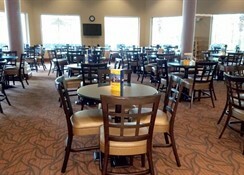 The property is comfortably accessible from all major hotspots of Florida. Disney Springs is just 1.5 km from the hotel, while the entrance to Walt Disney World is 2.4 km away. Orlando International is the nearest airport at a distance of 19.1 km. 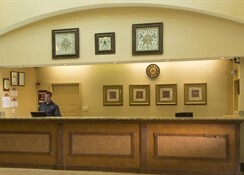 Spacious, plush, well-lit and airy – the rooms at Hawthorn Suites Lake Buena Vista pamper you with a warm hospitality. The accommodation variants also include one- and two-bedroom suites as well as executive guestrooms with modern amenities such as free Wi-Fi, flat screen TV and work desks to help you enjoy your vacation comfortably. 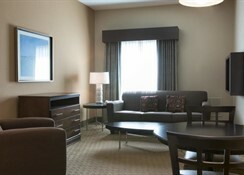 While families with kids can opt for the suites, the executive guestrooms are ideal for one or two people. The one-bedroom suites come with a separate living area and a sleeper sofa, dining area and a fully equipped kitchen with all cooking necessities. The hotel serves complimentary breakfast in its lobby from 7 AM to 9:30 AM, which includes popular favourites like eggs, bacon or sausage, fresh fruit, cereal, milk and coffee. At Hawthorn Suites, you also get to choose from an endless list of international cuisines for lunch and dinner from the local dining venues. These restaurants are amazingly priced to suit your pockets and the food has something for every appetite. The hotel features an outdoor pool, Jacuzzi, a fitness centre, sun terraces and barbeque facilities. The fitness centre is managed by experienced trainers to give you a crash course of fitness. 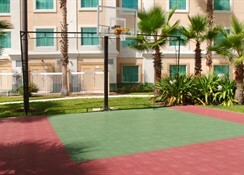 Sports lovers can also get active at the basketball court. The hotel is surrounded by numerous entertainment and leisure hotspots like Disney Springs, Ponce De Leon Golf Course, Walt Disney World, Disney's Animal Kingdom, Universal Studios Orlando and Orange County Convention Center. Being a Walt Disney World Good Neighbor® Hotel, it arranges ticketing service and free shuttle to Walt Disney World.